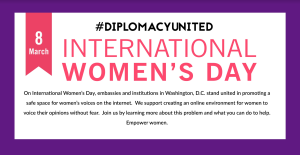 For International Women’s Day in 2019, a group of digital diplomats and allies tried something new: they shared a Twitter thread, a coordinated campaign on Facebook and Instagram, and a common objective. 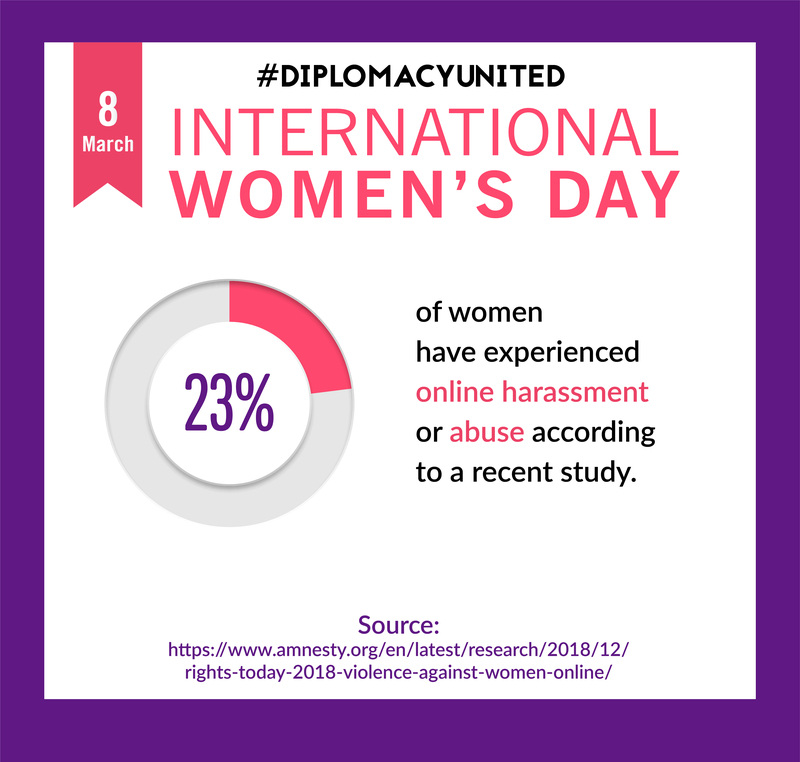 The informal group, a legacy of the first international digital diplomacy conference held in Stockholm in 2014, has long recognized the importance of fostering an environment in which issues of global importance could be discussed on-line. Over the years, the group has shared ideas, hashtags and best practices. On March 8th, they decided to take their collaboration public. 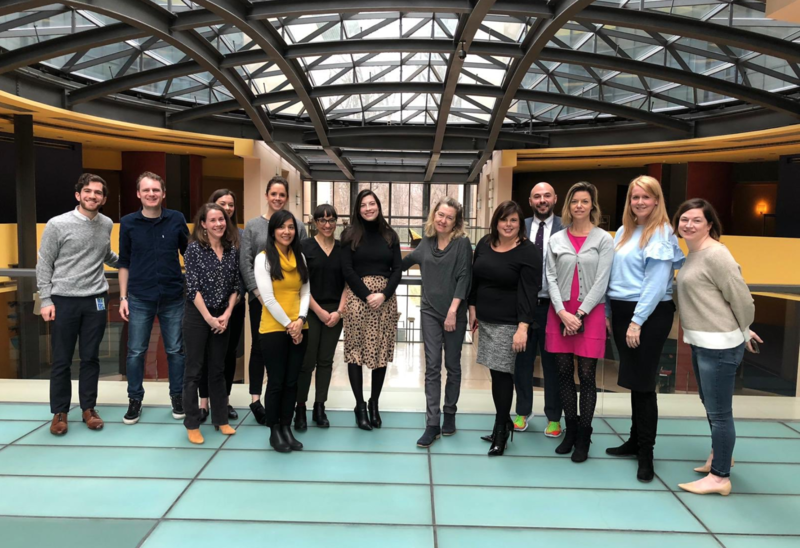 Eight embassies in Washington, DC (@ukinusa, @euintheus, @SwedeninUSA, @swissembassyUSA, @italyinUS, @spainintheUSA, @canembUSA) together with offices in the US government (@genderatstate), the Freedom Forum Institute’s NewseumED (@NewseumED), and the Digital Diplomacy Coalition (@digidiplomats), used their social media presence to bring attention to the harassment of women on-line. They started with a Twitter thread stating their common objective and sharing facts. They also shared the content on Facebook and Instagram. 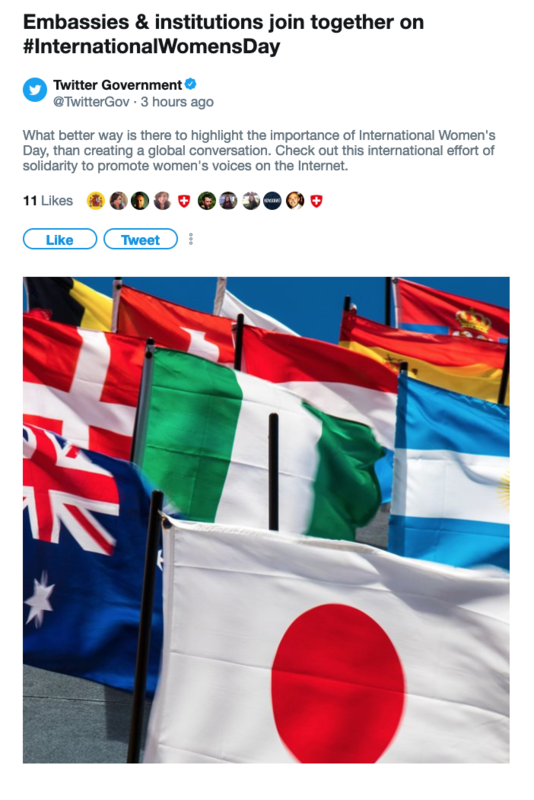 The effort was even turned into a Twitter Moment! 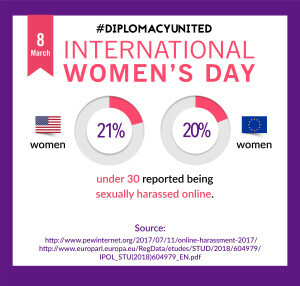 Discussion of global issues has grown more vibrant over the years and many of the the people with their fingers on the keyboard have been instrumental in shaping that environment. 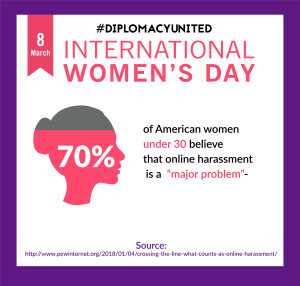 There is growing evidence that women are less and less safe participating in civil discourse online, so it is imperative that institutions do their part to keep them engaged. 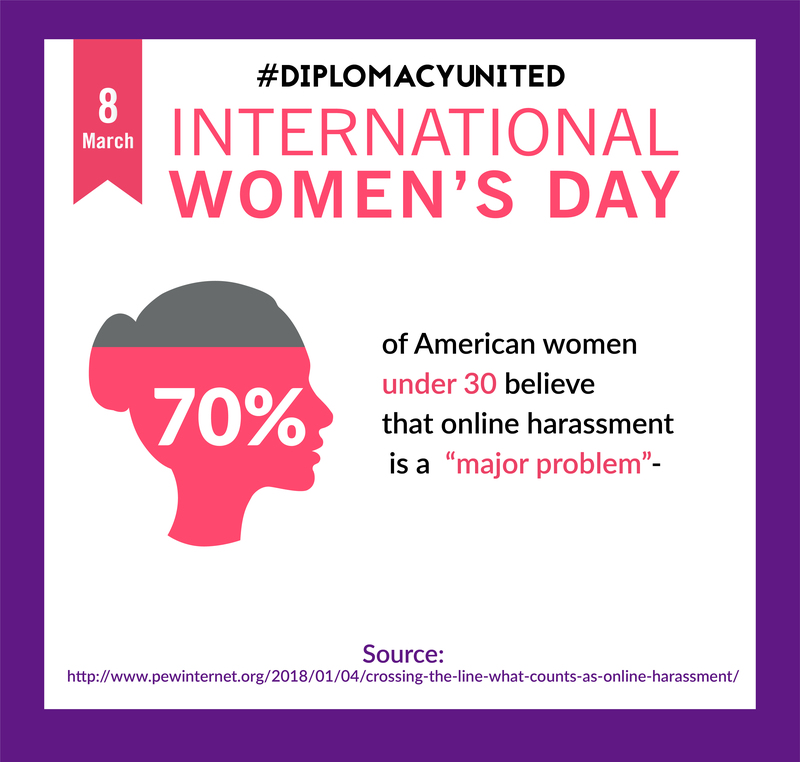 International Women’s Day is the perfect opportunity to send this unified message. 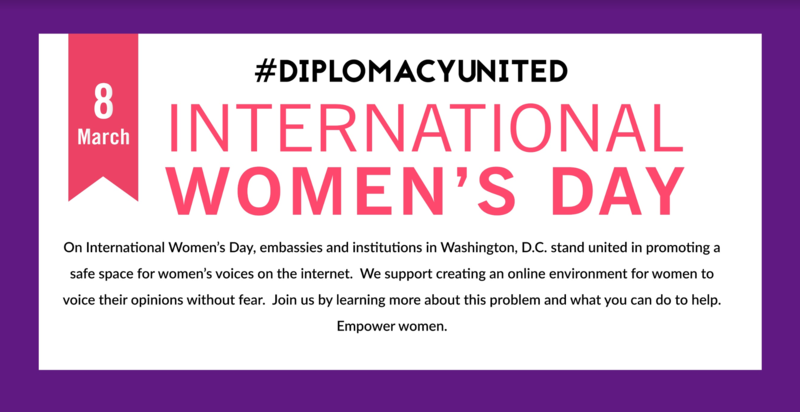 Like all digital conversations, digital diplomats hope to see it grow and for new ideas to emerge from the effort, and we urge others to join us! What is South by Southwest and why should the world care? Nearly 70,000 paid attendees flock to Austin to listen and learn from thousands of speakers. There’s a trade show and plenty of brand-hosted parties in and around Austin. All in, there’s more than 300,000 people interacting directly with SXSW activities. Among them, thought leadership entrepreneurs, whose minds are open and who are on the prowl for the next best thing in the digital space, in journalism and government or in music and comedy. You go to SXSW to see something new, or something new to you, and countries are taking advantage of that opportunity. The theme is no surprise. On and off the stage, and throughout Austin, SXSW has moved in a few short years from being a local music festival to a global event celebrating arts, innovation and ideas. 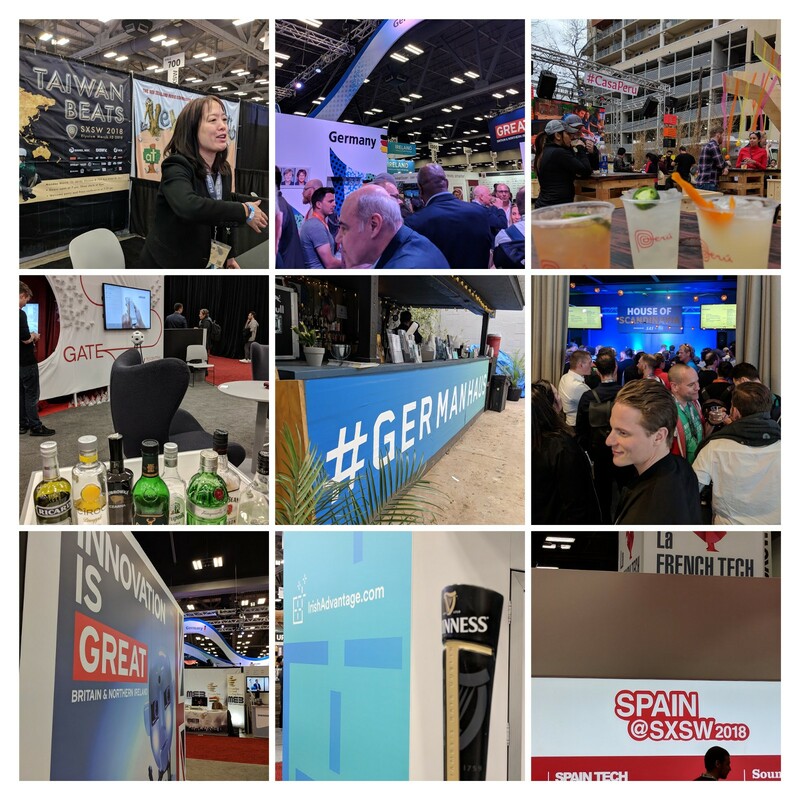 I was honored to participate in South By Southwest (known as SXSW) as part of a great line up presented by the European Union. Over a period of 3 days they held event after event on two stages touching all EU member countries and addressing a myriad of issues and of course, having fun. You can check out their line up here. And of course you can check out our panel. 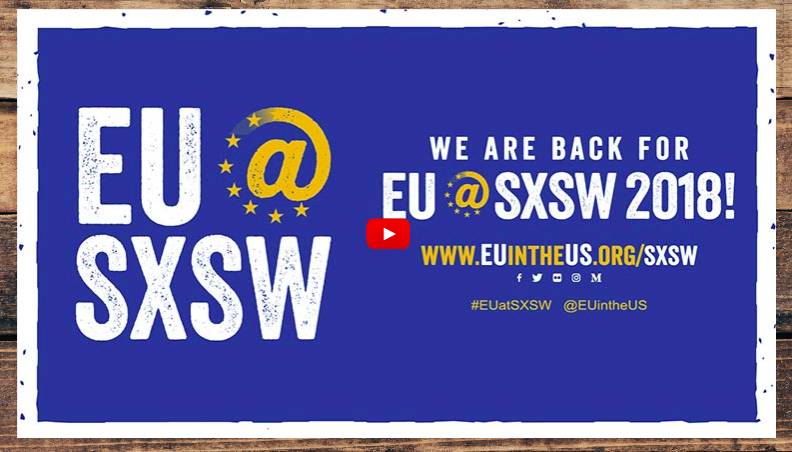 #EUatSXSW was a good representation of the opportunity countries see in SXSW: new and innovative people from around the world eager to learn. 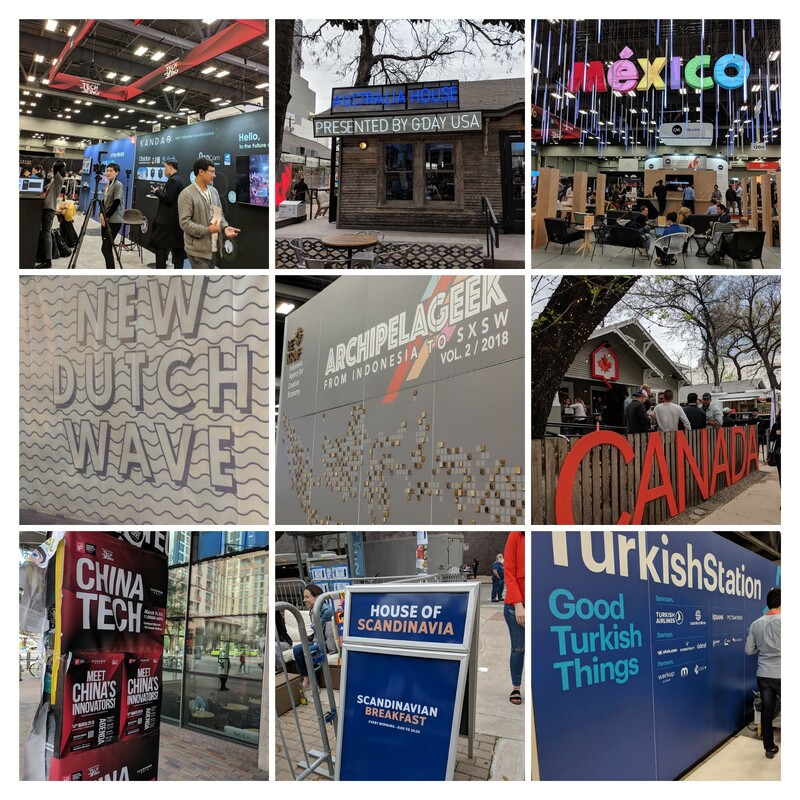 Throughout my time at SXSW, I had the opportunity to check out the scene, but kept a special eye out for international presence at SXSW. 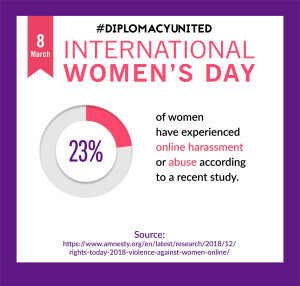 Having served in the State Department at the Deputy Assistant Secretary of Public Affairs for Digital Strategy, I had countless conversations convincing governments to start paying attention to how digital tools can transform their relationships with their own people and the world. Those conversations from long ago seem to have worked, and digital was just the beginning. Brazil Went Big. If you went to SouthBy, you heard from Brazil. Their hashtag graced the bag given to every participant. They had a room in one of the main hotels and were featured prominently on the trade show floor. Everywhere you turned: Brazil. 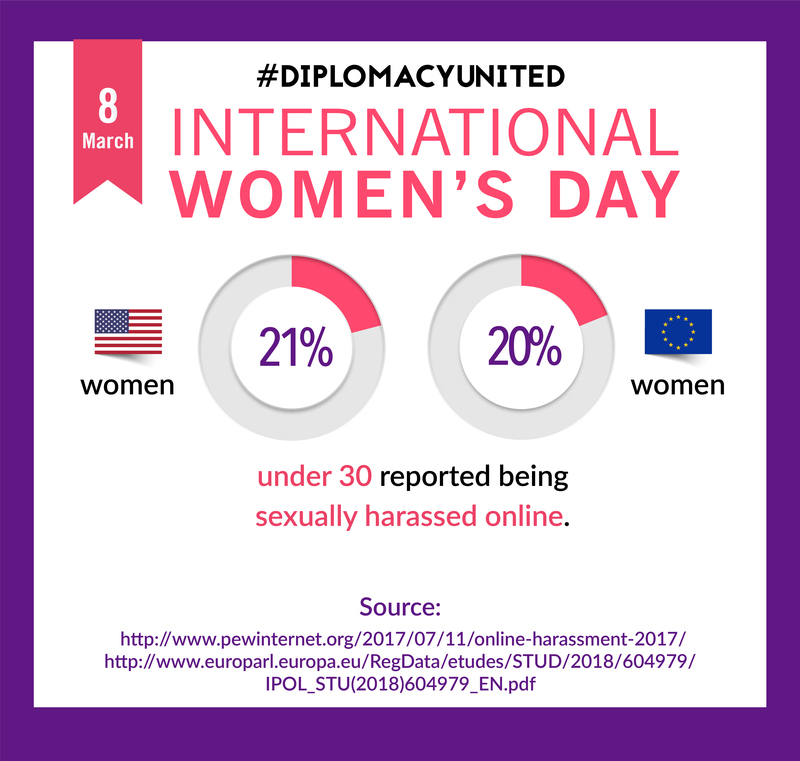 Europe was front and center. In addition to the EU house, many European countries were represented. One of the earliest and stalwart participants in SXSW is the British Music Embassy who showed up again for the 11th year. But other countries like Poland were new this year and brought some cool businesses that are scalable and applicable to US markets. Every Continent Was Represented. Sadly, I didn’t make it over to Africa House, and it looks like I missed out. Not only did they have great (women) entrepreneurs on stage, but they made it their mission to represent Wakanda at SXSW. Otherwise, my passport was stamped on every continent, all within a few short blocks. I’m thankful for that because there were many cocktails to sample. SXSW is known for a good cocktail and generally each country stuck to their specialty. But in that spirit, the prize goes to Peru House with some truly fantastic pisco drinks at the bar. Some Regions Were…Quiet. One of the most striking things about SXSW is that you’d sit down to have BBQ anywhere in town and hear multiple languages coming from every table. But where some countries went big, some regions were noticeably quiet. 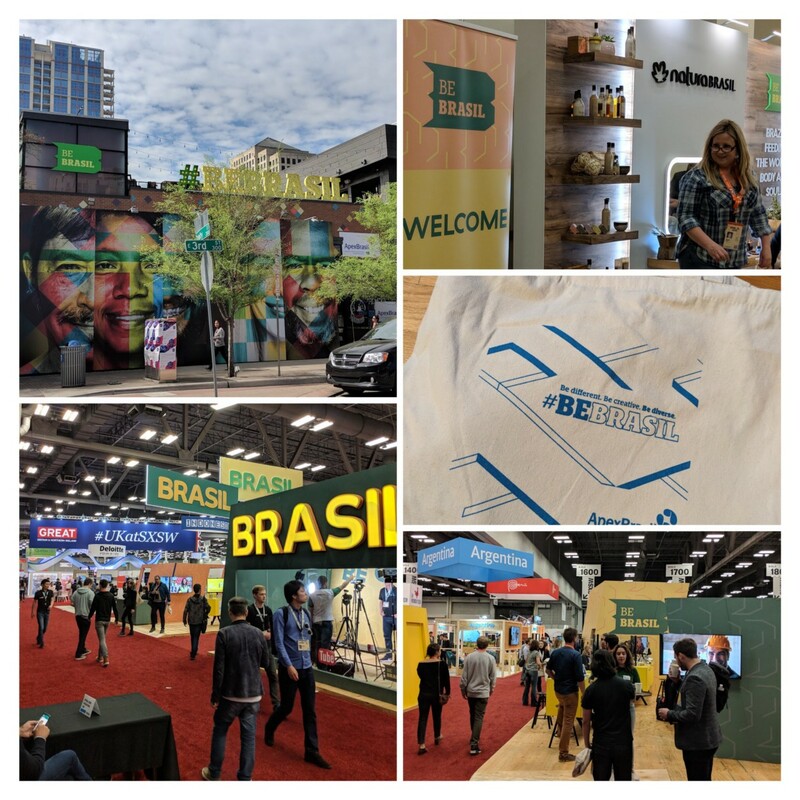 In particular, the Middle East was certainly represented on stage but the average SXSW participant would not have had the opportunity to run into something new and innovative from the region. It’s a shame because there are so many vibrant spots. Two countries were conspicuously absent. As a former diplomat and someone who helped make sure President Obama blew the minds of SXSW in 2016, the lack of the US government at SXSW was disappointing. The U.S. Department of Transportation had a booth to address innovation in driverless cars, and several US officials participated on panels. What was missing were the approachable booths of NASA and the innovators hosted by USAID. In the same vein, I really expected India to be front and center. Perhaps India didn’t need to go to SXSW because everyone is coming to them. Duty called, and I didn’t have time to stay at SXSW to see everything, hear every lecture or band, or see every activation. As a result, I know I need to go back. So tell me…what did I miss at #SXSW2018? Which country did it best in your opinion? Moira Whelan is a Partner at BlueDot Strategies and former Deputy Assistant Secretary for Digital Strategy at the US State Department. 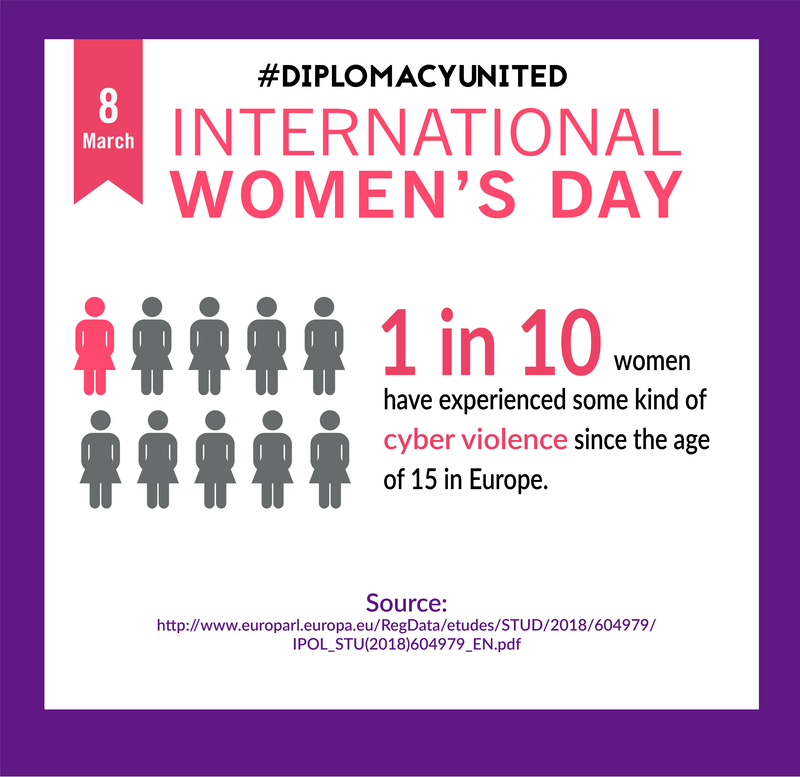 She is also a member of the Digital Diplomacy Coalition Washington team. Full video from our Global Leadership in Public Diplomacy Forum in Washington DC with the USC Center on Public Diplomacy hosted at the United States Institute of Peace on 14 October 2015.